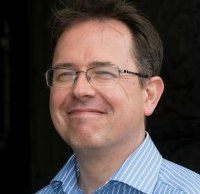 Jason Dyer began his career at the BBC World Service in London, working in HR and recruitment before pursuing a career in Fundraising, having now gained over 25 years’ experience, primarily fundraising for arts and heritage projects, with a focus of major giving. He was Chief Executive of Abbotsford, the Home of Sir Walter Scott during the restoration of the house, raising over £12 million to achieve this. Jason now works in a freelance capacity on a number of fundraising heritage projects across Scotland.